PERHAPS the final person to see Warriena "Rrie" Wright alive has used an online fitness forum to tell users he had nothing to do with her death. Ms Wright fell 14 floors to her death from the Avalon Apartments in Surfers Paradise on Friday, about 2.30am. She had spent the night in the apartment with Gable Tostee at his apartment, although he was not there when polive arrived. He has since been questioned by authorities and released without charge. Fairfax is reporting Mr Tostee has now told a bodybuilding website he had nothing to do with her death. "I've been advised not to go into details but all I will say is that I absolutely did NOT cause this girl to fall and that I am devastated about what happened to her," he wrote. POLICE investigating what happened before a young New Zealander fell 14 storeys to her death from an apartment balcony say they have received vital new information. Warriena "Rrie" Wright was on the Gold Coast for a friend's wedding, but yesterday her New Zealand family were being supported after her tragic death. 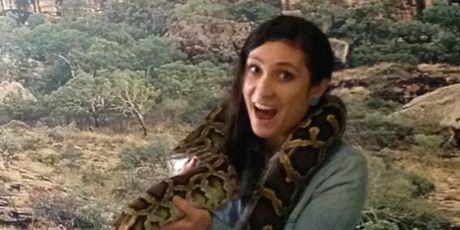 Warriena 'Rrie' Wright enjoyed getting friendly with some Australian wildlife, including a giant python, at Australia Zoo during her Queensland trip. She would later fall to her death from a Surfers Paradise balcony. 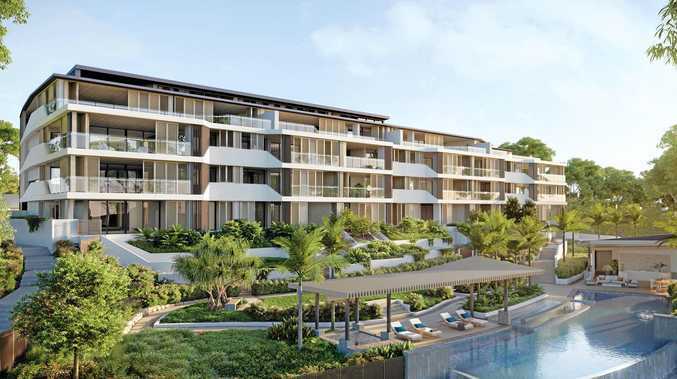 Ms Wright, 26, fell to her death from a balcony about halfway up the Avalon apartments in Surfers Paradise about 2.30am on Friday. Neighbours reported hearing several screams and what sounded like an argument, and a woman who saw her fall called police. They have interviewed the unit's occupant, Gable Tostee, 28, but he was released without charge and is now staying with family. Ms Wright had been only days away from returning home when she arranged to meet Mr Tostee, apparently using the dating app Tinder. On Sunday, police said they had received numerous calls from the public about the case, one of which yielded vital information, One News reported. They had seized CCTV footage from the Avalon building. A resident told Channel 9 she had heard screaming several times before Ms Wright fell. "I heard her screaming once and then she stopped. "Then she screamed again and then she stopped again, and then she screamed a third time and after that I heard a bang." Ms Wright's mother, Beth Wright, is a deacon at the Seventh-day Adventist Church in Porirua. Ms Wright's sister Reza Tagpuno had earlier said the family were in the dark about what had happened. It was unclear whether they would travel to Australia to collect her body. A spokeswoman for New Zealand's Ministry of Foreign Affairs and Trade said they had not been approached for consular assistance or advice. Several days ago, Ms Wright was photographed holding a giant python at Australia Zoo, laughing as the reptile wrapped itself around her neck. A passionate animal rights activist, she once wrote to Parliament appealing for tougher penalties for animal cruelty offenders. When police arrived at the apartment, Mr Tostee was gone, but he later handed himself in.